Sarah Williamson is a mom and CPA who, spurred by a doozy of a fiscal dilemma with her 12-year-old son in the aisle of a toy store, came to the decision that there must be a better way. 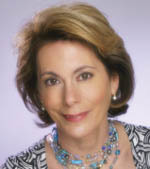 With twenty years in the accounting and financial consulting field, and after incidentally coaching teens on finances through courses such as "Young Entrepreneurs" and "If Only I Were Rich," Sarah felt it was time to expand on this expertise to share it in her book, Play The Real-Life Money Game With Your Teen. Though many parents do think the devil does wear Prada, or Abercrombie or Old Navy for that matter, Sarah believes that with the right foundation and lots of practice, teens can learn to be financially savvy. From confrontation to collaboration, folks who use Sarah's lessons will learn life-long skills and have fun doing it. Michael, her son and budding teen entrepreneur, provided the training ground for a teaching system that forms the core of Play The Real-Life Money Game With Your Teen. Designed as a set of fiscal "operating instructions" for parents, this book shares Sarah's method for teaching teens financial independence. Sarah teaches courses designed to help parents foster financial literacy in their teens. A marathon runner who exercises daily, she saves her money for sensible things like maintaining her lifestyle without going into debt, and splurges on things like dreamy vacations. Her son Michael, now 23, has matured beyond that toy store battle over Nintendo games and at age 16 purchased his own bright red BMW after two years of saving, using Sarah's lessons. Sarah Williamson is a Certified Public Accountant who received her bachelor's degree from the University of Washington and worked for Ernst and Young. Having spent twenty years in the accounting and financial consulting field, Sarah has valuable expertise to share with families. She is a licensed CPA in the State of Washington. Copyright © 2008. The Real-Life Money Game ® is a Registered Trademark. Pear Press.